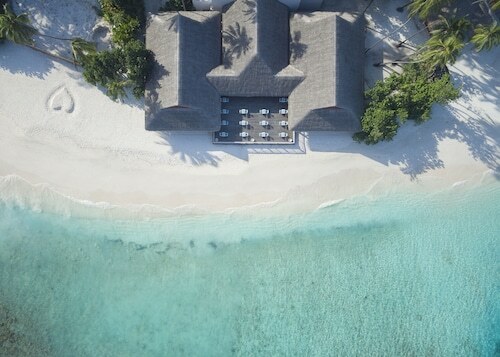 These low-lying islands in the Indian Ocean are renowned for their luxurious resorts. Enjoy secluded beaches, watersports and a colorful underwater world. 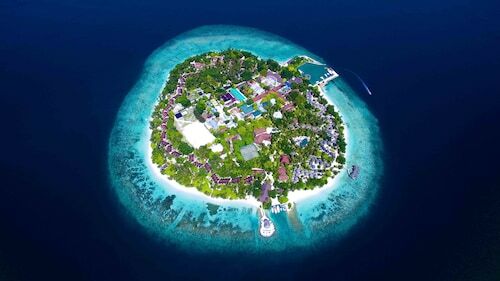 The Maldives is a collection of islands in the Indian Ocean, home to palm-fringed beaches of powdery-soft white sand and warm, clear waters. Here you can snorkel in blue-green lagoons, swim among brightly colored coral reefs and cruise to uninhabited islands. Generally the tourist resorts have their own private beaches. Spend long, lazy hours relaxing on the sands while resort staff bring you refreshments. Then treat yourself to a spa treatment. The clear waters of the Maldives are ideal for snorkeling, scuba diving and underwater photography. Resorts have fully equipped dive schools with lessons available for beginners and intermediates. Dive at the Banana Reef Dive Site to see pufferfish, bannerfish and several species of grouper. Experienced divers can look for leopard sharks at Gangehi Island's Gangehi Kandu dive site. The islands also have shallow lagoons perfect for snorkeling. Most of the beaches and resorts rent out equipment for watersports. Go kayaking, windsurfing, sailing, surfing and jet skiing. Charter a boat to fish for tuna, marlin, dorado and barracuda. While most people come to relax on the beaches or play in the sea, the capital city of Malé is well worth a visit. Gaze at the beautiful architecture of the 17th-century Grand Friday Mosque. The religious building is made from coral stone decorated with carvings, calligraphy and intricate patterns. See examples of Maldivian art at the National Art Gallery. Watch freshly caught fish being gutted at Malé Fish Market. Book a day trip to one of the less-frequented locations where Maldivians live. Experience local life and culture, visit fishing villages and buy traditional handmade goods. 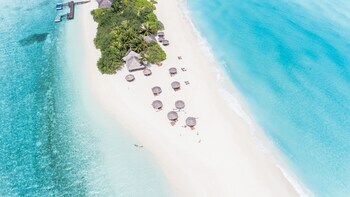 Most visitors to the Maldives stay in beach bungalows or water bungalows at self-contained luxury private island resorts. The most common way to get into the islands is to fly into Malé. From there, seaplanes or boats will take you to your resort. 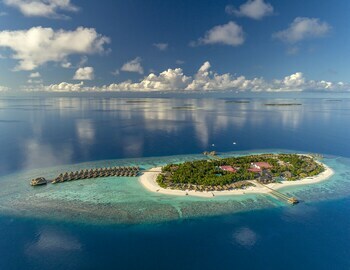 Enjoy the very warm temperatures of the Maldives at any time of year. The calm and relaxation are enchanting. 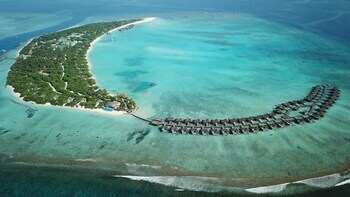 Situated in Bandos Island, this luxury resort is close to Bandos Beach, Kuda Bandos Beach, and Thulhagiri Beach. 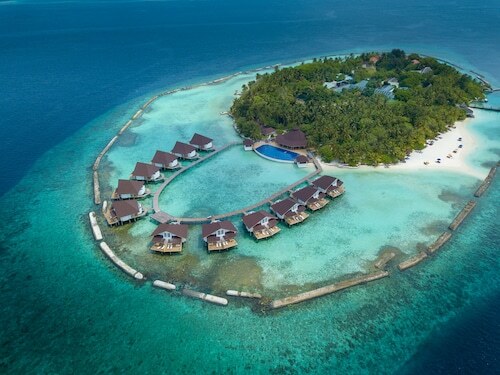 Area attractions also include Kurumba Beach and Paradise Island Beach. 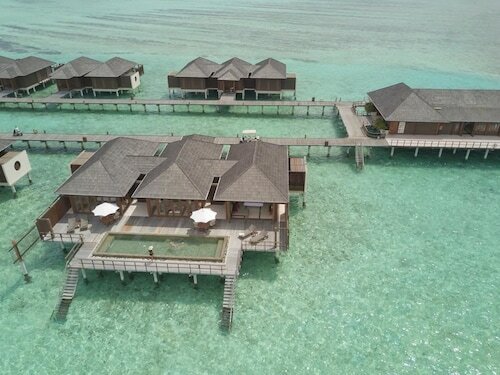 Situated on the waterfront, this spa resort is close to Paradise Island Beach, Gili Lankanfushi Beach, and Full Moon Beach. Area attractions also include Hulhumale Beach and Kurumba Beach. 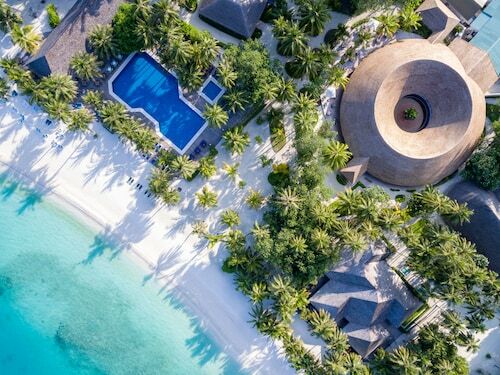 Set on a private tropical island in the Indian Ocean, the Sheraton Maldives Full Moon Resort & Spa offers a luxurious and romantic base by a turquoise lagoon. A speedboat whisks guests to the restaurants and nightlife of the Maldives’ capital, Malé, as well as to Velana International Airport. 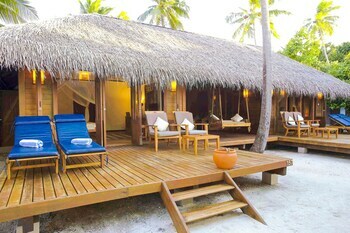 Located by the ocean, this Kandima Island resort is on the beach, within minutes of Kandima Beach. 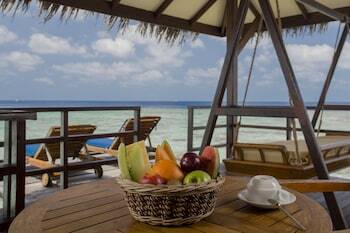 Situated in Meerufenfushi, this luxury resort is close to Meeru Beach, Meeru House Reef, and Meeru Corner Dive Site. Area attractions also include Asdhoo Rock and Kassan Faru. Wed., 31 Jul. - Fri., 2 Aug.
Fri., 14 Jun. - Thu., 4 Jul. Fri., 24 May - Sat., 22 Jun. 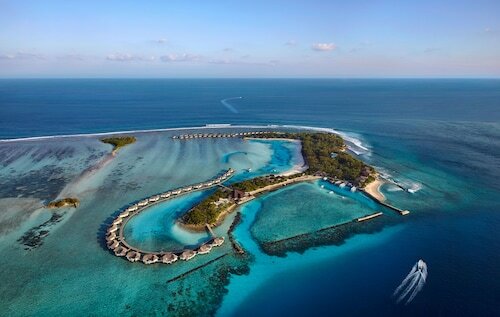 Looking for Flights, Hotels, Car Hire and Holiday Rentals in Maldives?